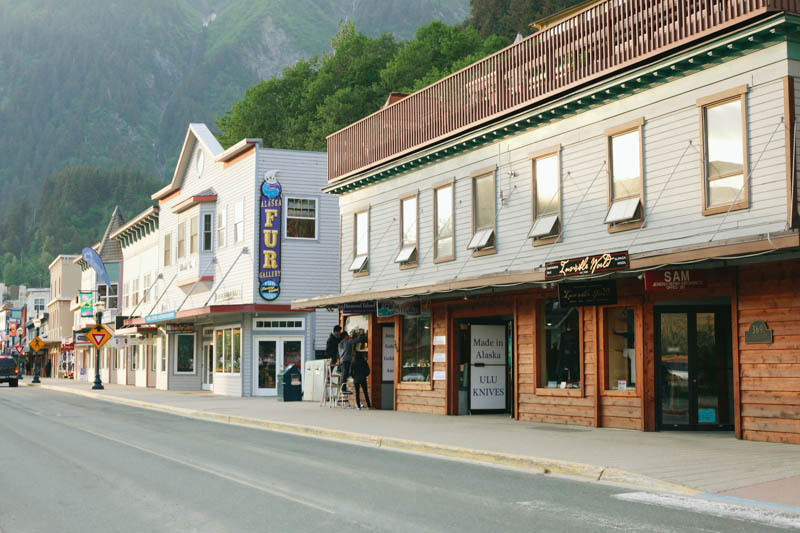 Places to Visit in Juneau, Alaska ↠ Downtown Juneau. Downtown Juneau, Alaska is one of the first places Dave and I drove through when we moved here from Anchorage and it immediately made me fall in love with this little town. It has such a quaint and adorable downtown area, with the cutest little shops along the way. Plus, some of our favorite restaurants are down there, like The Rookery and others. Add in the fun little downtown movie theater, and it's a great place for a date night in Juneau! It's one of my favorite things to do in Juneau in the summer when the cruise ships come in and I love walking around with all the people who are seeing Juneau for the first time. Atka loves it too, thanks to all the attention she gets from the cruisers. 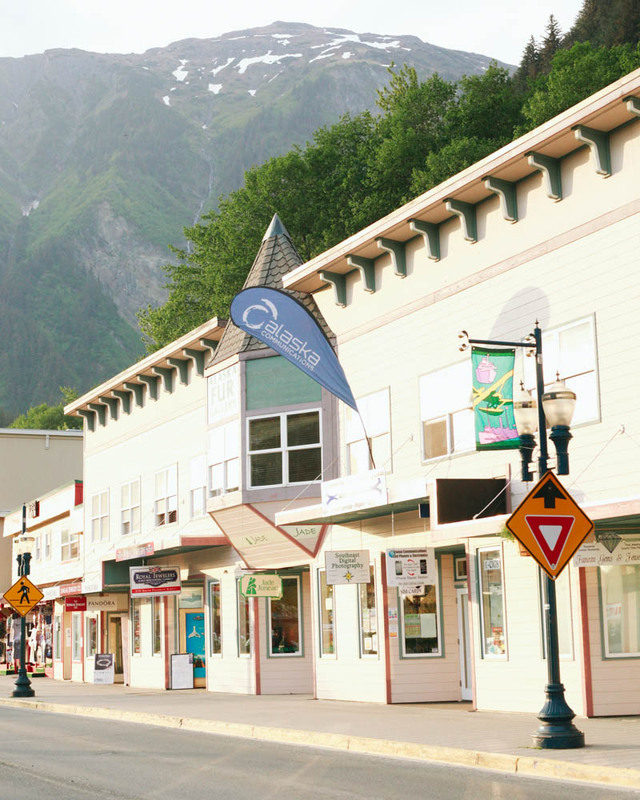 If you're in Juneau on vacation, downtown is where you'll want to buy any souvenirs you need for friends and family. There are lots of fun local shops with handmade items by locals, one of my favorite shops downtown is Trove. It reminds me a lot of The Kobuk in Anchorage with fun little trinkets. My kinda place. More places to visit in Juneau.